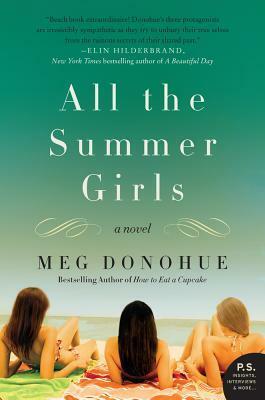 Today I'm featuring an upcoming read, All the Summer Girls by Meg Donohue, borrowed from the library. In Philadelphia, Katherine Harrington stands in front of the bathroom mirror, waiting to see if her life is about to change. It has been a while since she stopped and really looked at herself--not to smooth the frazzled antennae of find brown hair along her part or to brush away the taste of her morning coffee or to apply the mascara she swipes on each and every day before work, but to just stand completely still and look. The parenthetical creases on either side of her mouth have deepened, and she worries they make everything she says seem inconsequential, unnecessary. (Not ideal for a litigator), she mouths to herself. (Must buy wrinkle cream.) She is studying her own wry smile when the sound of the door buzzer cuts into the apartment. With the days getting shorter, but the weather still relatively mild, I am trying to extend my summer state of mind as long as possible. 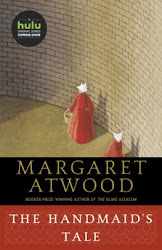 The cover and title of this book certainly help. First Chapter ~ First Paragraph #123 was originally published by Catherine for bookclublibrarian.com. This post cannot be republished without attribution. Retweeting and sharing on Google+ encouraged.